From an ancient Sumerian bulwark to the Berlin Wall, here are seven of history’s most influential manmade barriers. Just down the road from me, deep in the forest, hidden from the daily lives of my neighbours, beneath moss and pine trees you can find Andorsrud Castle. Today, only an 80 by 130 metres crumpled stone wall remains. It may have been built between 400 and 600 C.E, during the great migrations. Andorsrud Castle in Skoger, a 10 minutes walk from the farm Andorsrud in north-west direction. Also called Andorsrudfesting. The castle hill has two plateaus, one at the top north and one at the bottom south. The security area is 4000 sqm. 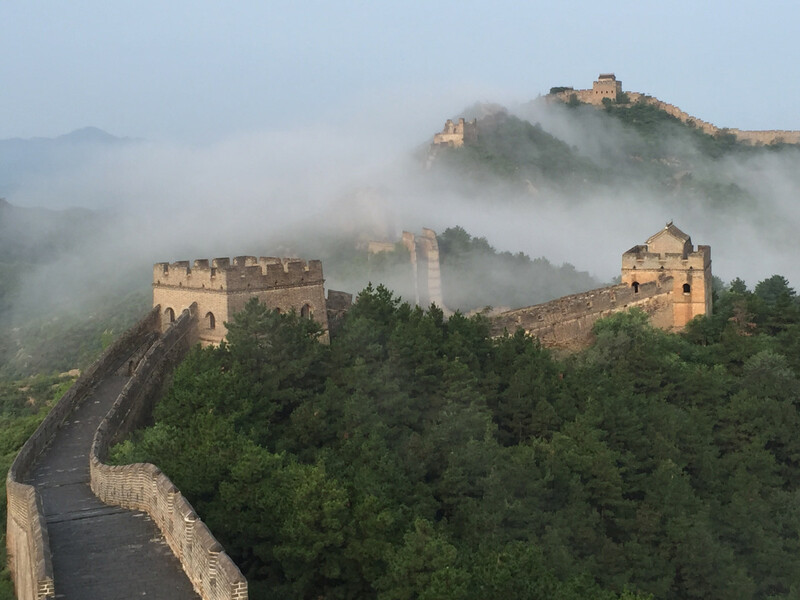 (About 65 x 45 meters) Two large stone walls have been erected, one 130 meters long, built at an angle, the other 80 meters long. The walls are up to five meters wide and two meters high. The gray wall work is of very good quality. It has not prevented parts of the walls from collapsing through the many centuries that have passed since it was built. Aids during the bricklaying must have been barbells (skewers, logs), roller blades and horse (s) with toweling belts. The castle is right next to the small pond Løken. One may be tempted to believe that the castle's water supply was arranged from here. The Andorsrud castle is a large and significant fortification from a distant past. The castle is mentioned by Faye in 1799. (Sources: Audun Knappen, Bygdeborgene i Drammensgebied. DOT`s yearbook 1967). They've been working on the US-Mexico border wall for over 20 years. In 2006 President Bush signed a mandate to finish it, however nobody has wanted to spend the money to finish building it. When the agency receives more funds, they hire more people and buy newer technology. So, there is still a law on rhe books to finish the wall started 20 years ago. The current president stupidly politicized the "wall" (probably having no clue about the history of it). I'd say there's a 99% chance the wall will never get completed, and he will be known as the Pres who wasn't able to build the wall.